Just a touch of bright spring color and pretty as a painted Easter egg! 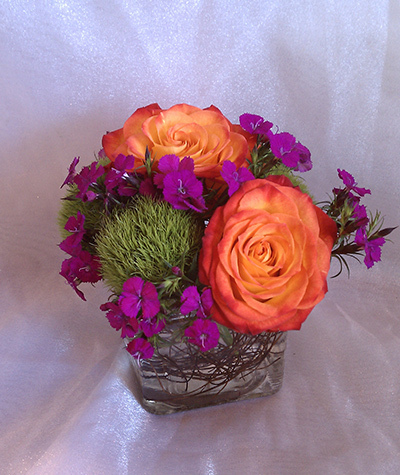 Bright orange roses with lime green and hot pink blooms tucked into a cute little square. Perfect for desk or table or anywhere.